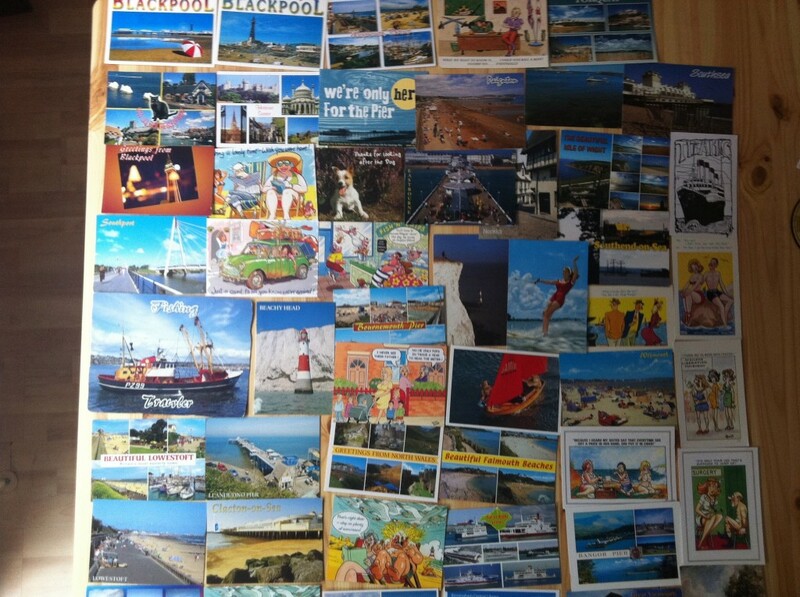 I’m currently knee deep in postcards, books about the seaside and still have sand in my good pumps. It’s nearly six months since I spent two weeks traveling around all of England and Wales’s surviving seaside pleasure piers and we’re about halfway through writing the book. It’s hard going, but fun. 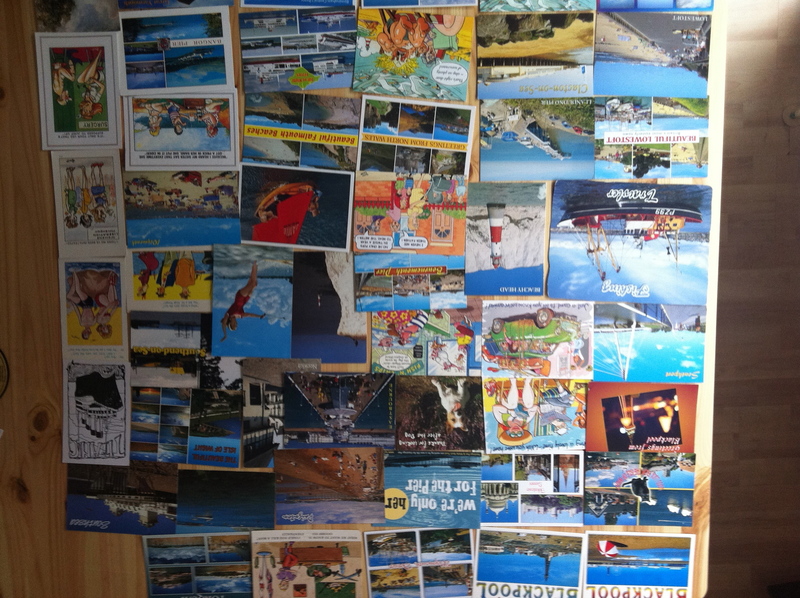 Here’s the picture side of every postcard we sent (one of each) to each of our funders—the trip was paid for by around thirty people, all of whom are awaiting publication with anticipation I hope. But what was it about? Well, we were lucky enough to get the chance to talk to the great Andrew Collins and Josie Long on 6 Music, and that’s as good an introduction as any is likely to be. Listen to Pier Review on 6 Music Pier Review On 6 Music. And we followed it up a week later with another slot: Pier Review on 6 Music, week two. And we’ve also made our secret blog open to all, you can read some behind-the-scenes stuff now. Find our more and sign up at Pier Review dot co dot uk.